BOGHOS MINAS or according the Dutch almanacs: Paulus Minas Johannes. 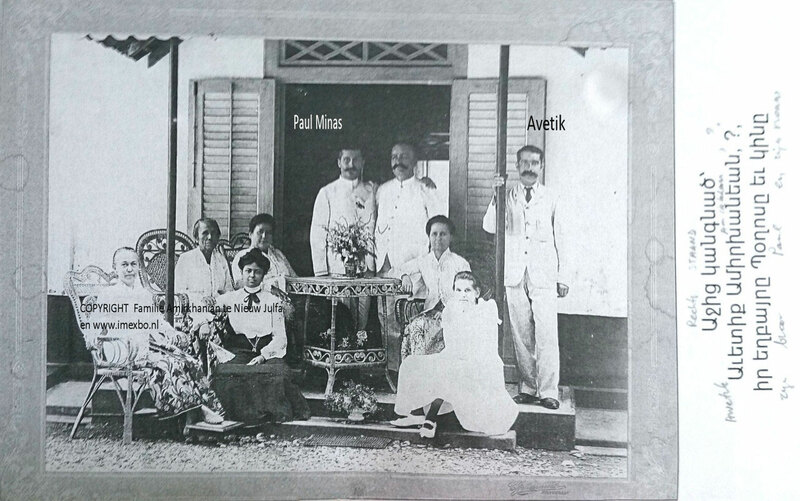 On the right his brother Avetic in the early 1900's at Banjarnegara. Paulus was born at New Julfa around 1862/1863 and settled down at Java in the year 1884 arriving with ms SUMBAWA 4 Febr 1884. Till 1894 his residence was the city of PURWOREJO/Bagelen and had a small department store and did some commissioning business and auctions. As a side income (additional earnings) he also owned some farmlands (coconut). He moved to Magelang and opened a bigger department store per 2 april 1894 and raised his capital and opened a Big Bazar Department store called Toko P.M. Johannes n.v. as per 1-1-1906. ( N.V. = Ltd. Company). 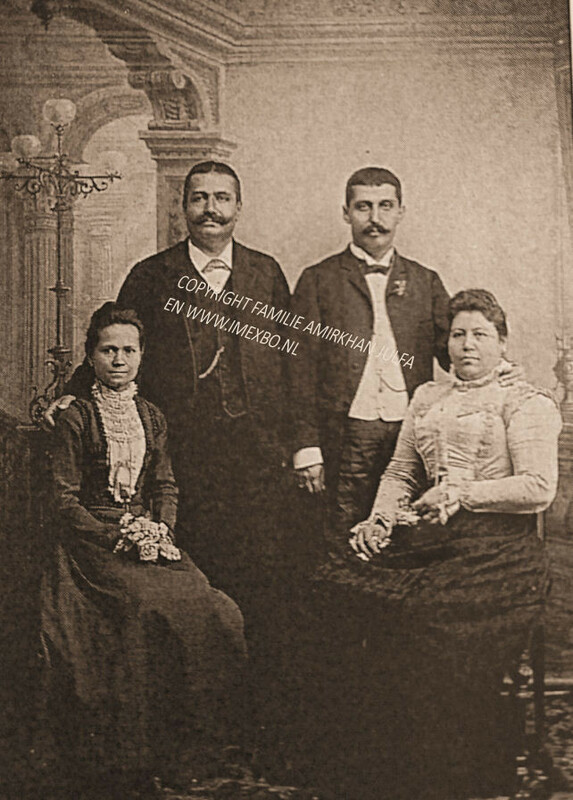 (*Editor: Information from newspapers kb.nl and from the archives of public notary C.P.A. 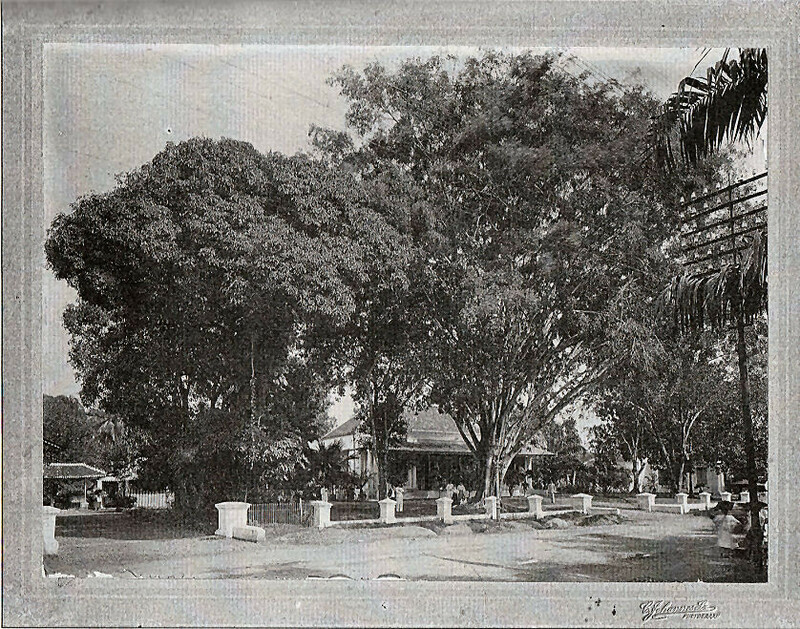 Boelen at Magelang. Public Notary C.P.A. Boelen was the father in law of Willem Egbert Boers, grandson of Anna !!! And therefore related to Boghos by inlaw/marriage. Public Notary Boelen died one year earlier at Amsterdam after being retired and like Boghos, he also died alone. Why? Boghos is suffering from a disease and doctors could not heal him. 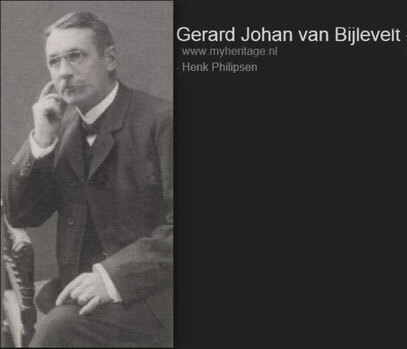 He sailed to The Netherlands on 1-7-1909 with m.s. VONDEL in order to get healed which did not happen. Boghos died alone far away from his family on 16-2-1911 at 09:00 am at age of 48 years. 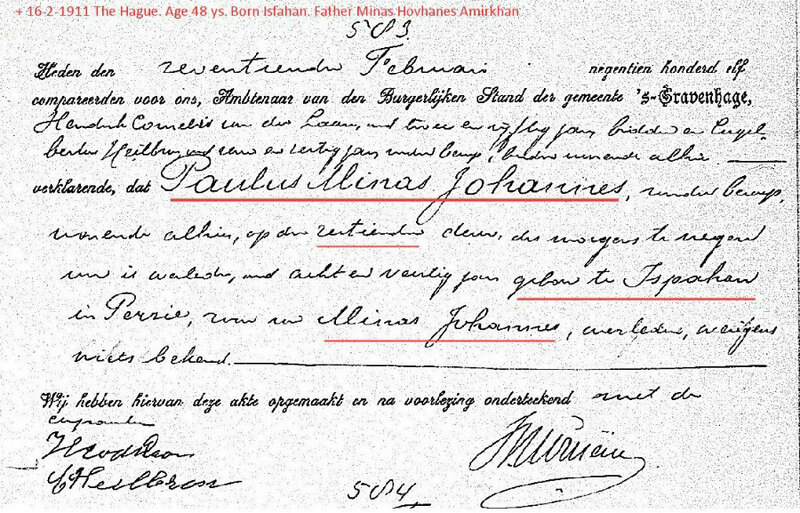 Official registration at The Hague regarding the death of Paulus. Above: The picture left was made by his brother Cornelis who owned a photostudio. He was a photographer. Picture right: van Eijck and Boghos on the right. 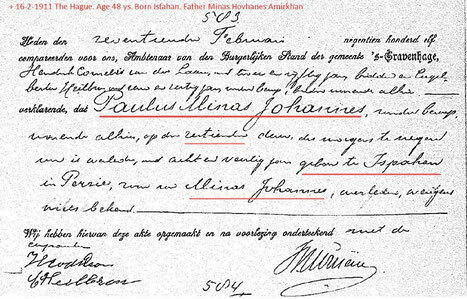 Former Toko P.M. Johannes sold in august 1907 to Mr. J.M.J. van Eijck, the second business partner of Boghos. 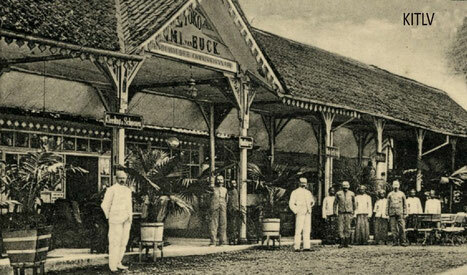 The shop lasted till 1931 due to the death of Mr. van Eijck. (Left standing alone). Go to the page Amir H. Amirkhan part 3 Petrosian.